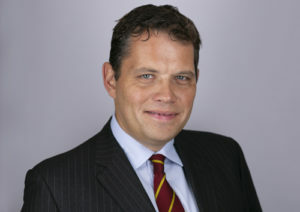 Mr Jonathan Bull is a Consultant Neurosurgeon and Spinal Surgeon. He treats a full range of brain and spinal disorders, both simple and complex.Jonathan studied Neurophysiology and Medicine at Cambridge University before qualifying in 2000. He completed initial surgical training at St Mary’s / Imperial College rotations, followed by higher surgical training in neurosurgery under the tutelage of Henry Marsh in the south Thames Programme. Alongside, he achieved a Doctor of Medicine (MD Res) at University College London (UCL) specialising in MRI imaging of paediatric brain tumours.He undertook two specialist fellowships in Complex Spine Surgery. Initially as the Sir Victor Horsley Complex Spine fellow between the Royal National Orthopaedic Hospital; Stanmore and the National Hospital for Neurology and Neurosurgery (Queen Square). Subsequently awarded a European Association of Neurosurgical Socieities (EANS) fellowship at University Hospital Klinikumrechts der Isar. He became a Fellow of the Royal College of Surgeons in 2011.